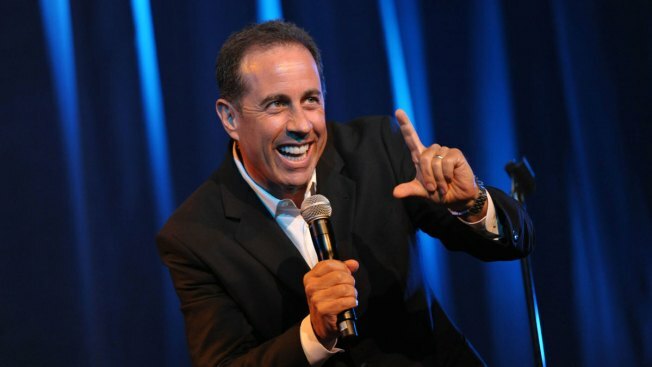 This June 30, 2012, file photo released by the David Lynch Foundation shows comedian Jerry Seinfeld performing onstage at the David Lynch Foundation: A Night of Comedy honoring George Shapiro in Beverly Hills, California. Jerry Seinfeld and Netflix have announced a deal that will bring the star's interview show "Comedians in Cars Getting Coffee" to the streaming service later this year. Netflix says new episodes of "Comedians in Cars Getting Coffee" will premiere in late 2017 and previous episodes will also be made available. The show has streamed on Crackle since its debut in 2012. Seinfeld will also film two new stand-up specials for Netflix to be released later this year. In addition, Netflix says Seinfeld will "help develop scripted and non-scripted comedy programming" on the platform. Terms of the deal haven't been announced. "Comedians in Cars Getting Coffee" features Seinfeld chatting with guests in classic cars and coffee shops.